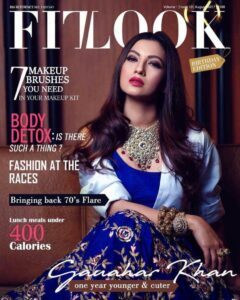 Gauhar khan on Fitlook magazine is the new cover face for the Fitlook Magazine August Issue. The month is very special for Gauhar Khan as it’s her birthday month. She completely graced the cover with attitude, class and great attire.One can see her countinuously without an eye flick. The cover was launched yesterday at Ministry of Beer, Gurugram. Gauhar Khan has gained fame after winning Big Boss season 7 and now she is working hard in bollywood. She in Begum Jaan. There are various other movies in which she had worked like Ishaqzaade,fever,badrinath ki dulhania,game,rocket singh and many more. 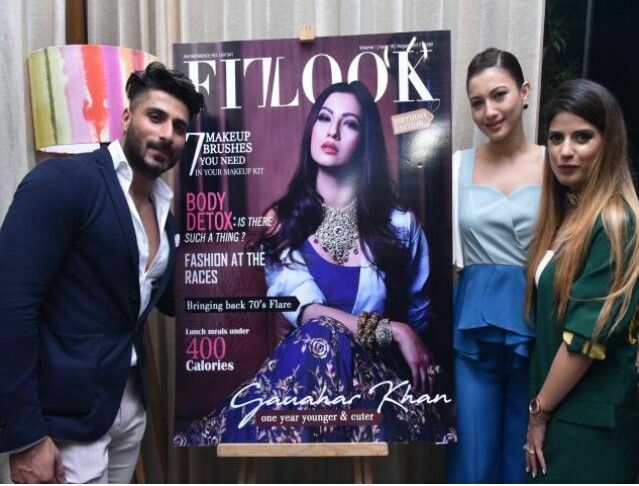 Gauhar khan on Fitlook magazine launch thanked karnika and Mohit, the founder and owner of fitlook magazine for making her feel so special, She also said – ” I am really happy that my birthday is being celebrated like this”. 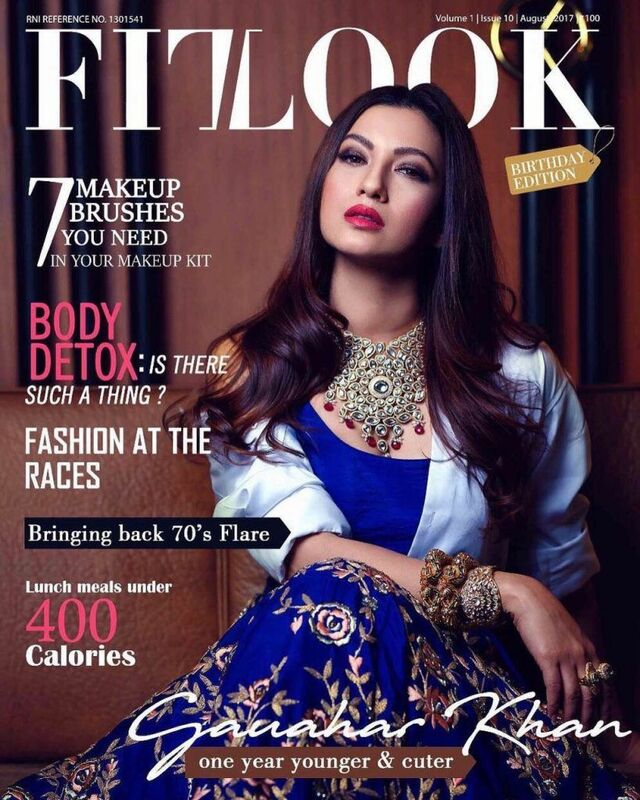 Fitlook Magazine launched its 10th Issue this month.The magazine has gained a great popularity within a few months. People are loving the content,the overall topics of the magazine and at most the lovely covers of the celebs one after the another. Fitlook is soon coming as an app on google playstore. The magazine is perfect for both the fitness and the fashion lovers. With the latest issue the readers can acknowledge with 7 makeup brushes you need in your makeup kit, Body Detox, Fashion at the races, lunch meals under 400 calories, Bringing back 70’s flare and much more. The fitlook team always work really hard to complete the desire.This can be in all the issues. Do purchase the Magazine and read in detail about all trends in Fashion and Fitness.